In a game featuring two one-win teams on Thursday night, at least one of them decided to show up. For fans in Oakland, we’re sad to announce that it was not the Jon Gruden-led Raiders. Instead, they laid completely down against the cross-bay rival San Francisco 49ers. 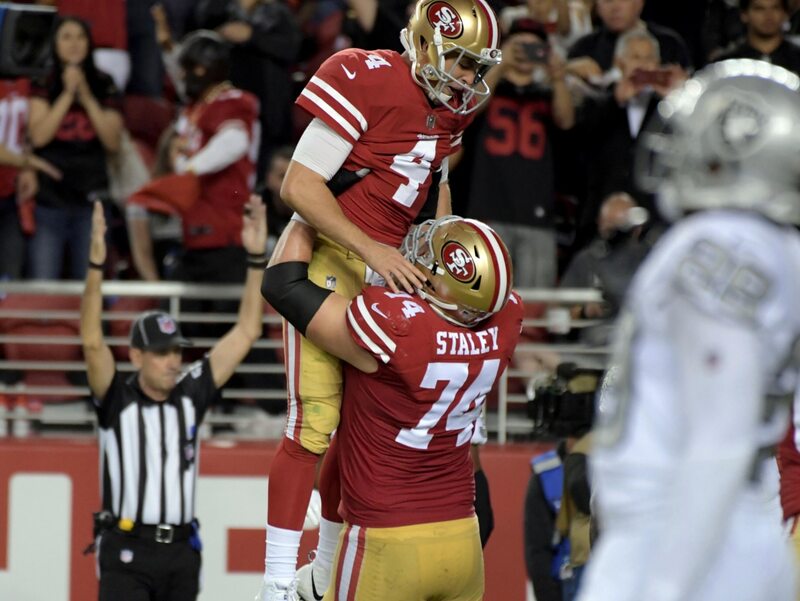 When the clock struck zero at Levi’s Stadium in Santa Clara, the 49ers came out on top by the score of 34-3. Second-year quarterback Nick Mullens, making his NFL debut, awed onlookers by putting up three touchdown passes. San Francisco’s defense battered Derek Carr throughout the game to the tune of six sacks. Here are the biggest winners and losers from San Francisco’s 31-point Thursday Night Football win over the Raiders.